LTS type PSH scissor lifts are used on loading ramps for lorry loading and unloading; they compensate for the difference in height between the vehicle and the loading ramp. PSH scissor lifts are available as single-scissor or double-scissor systems and stand out for their robustness and their excellent price/performance ratio. Extremely high elevations can be reached by providing the lift platform with several scissor packages. 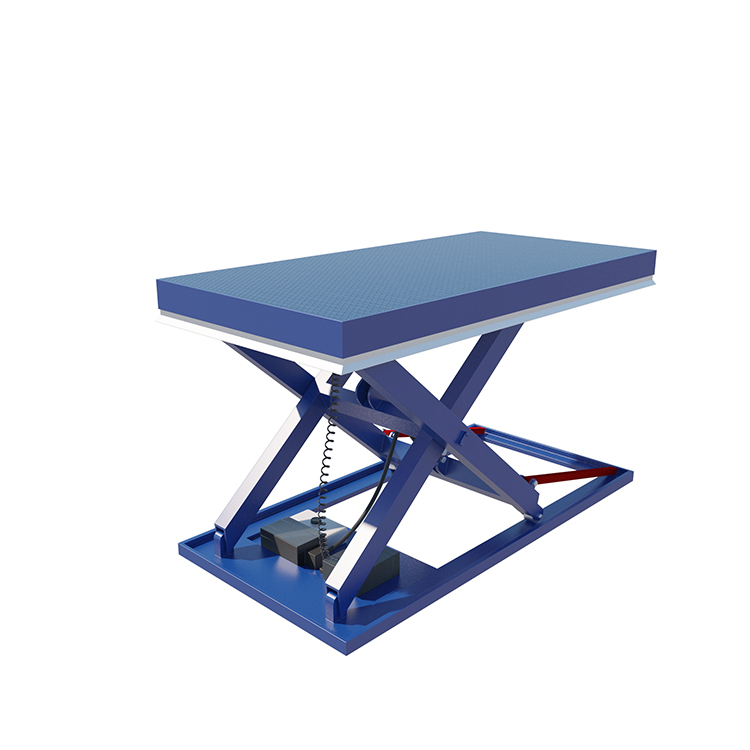 The vertical double-scissor lift, for example, can be used as a working platform, installation table or machinery platform. All LTS type PSH scissor lifts meet the requirements of the relevant DIN EN 1570 standard. The scissor lift is driven by a hydraulic unit. Pressing the “UP” button, spreads the scissors so that the platform rises. At the same time, the pulleys in the base frame move towards the fixed bearings. The UP movement is stopped as soon as the “LIFT” button is released or by the limit switch which indicates that the maximum height has been reached (stroke end). Pressing the “DOWN“ button, makes the scissors come back together and lowers the platform.